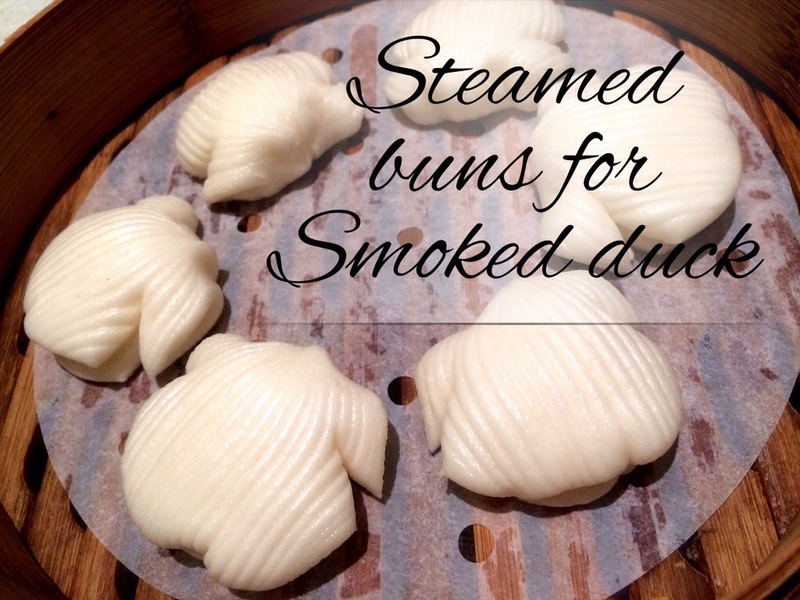 This restaurant has good ambience, attentive servers and good food. We had 2 starters. The crab meat terrine recommended by our server which was really good then an oriental vege salad which was nothing fantastic though the vegies were really fresh and crunchy. 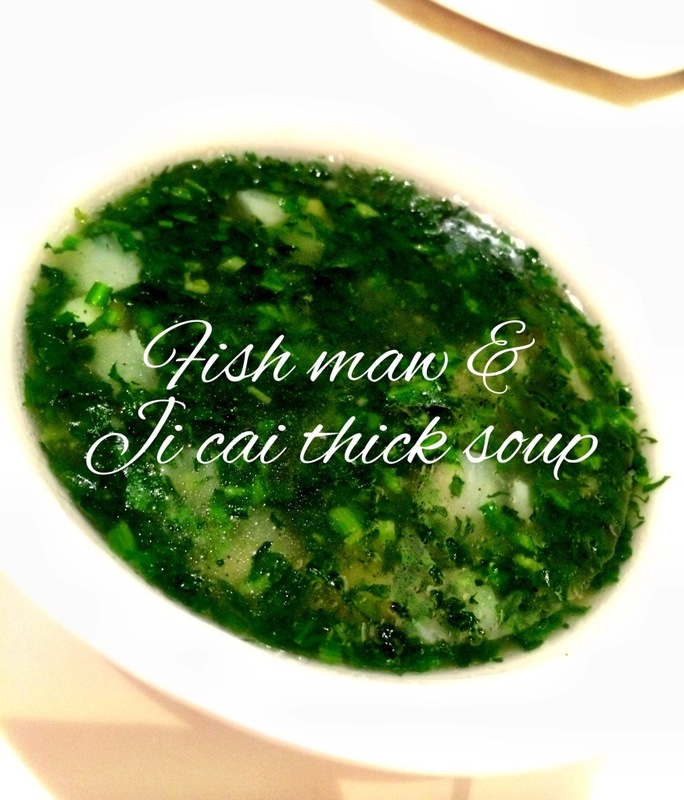 Next was the fish maw/ vege thick soup which was yums. 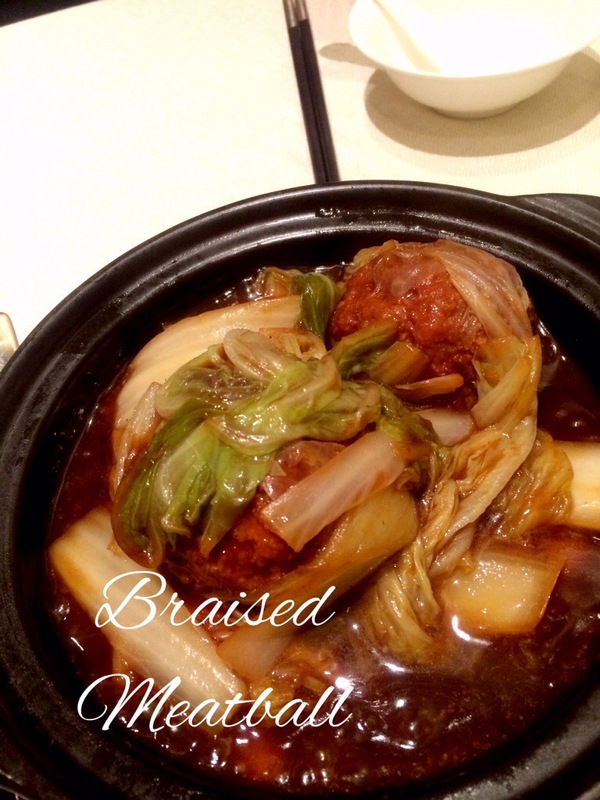 Followed by braised meatball in brown sauce which was a little salty. 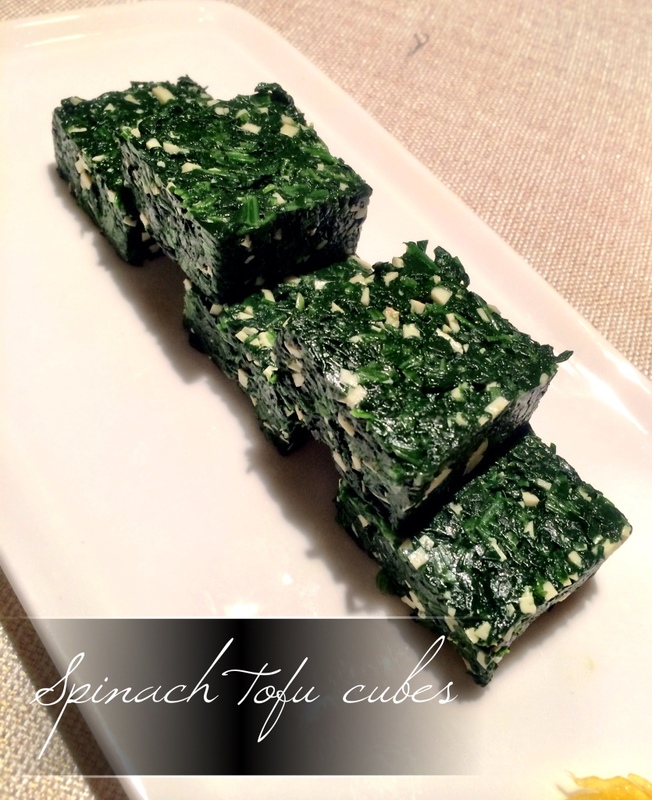 Probably taste much better with rice. 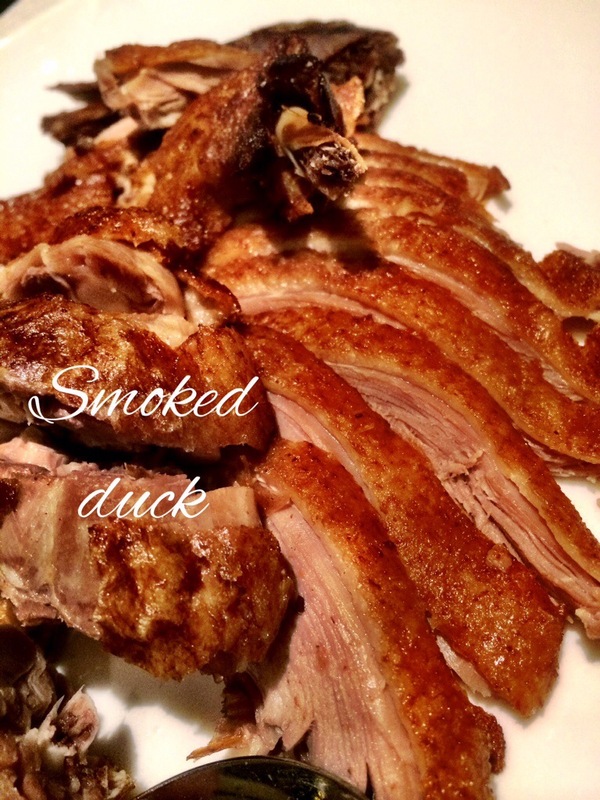 We also had smoked duck with steamed buns which was not as good as I expected after having tried Summer Pavilion’s. 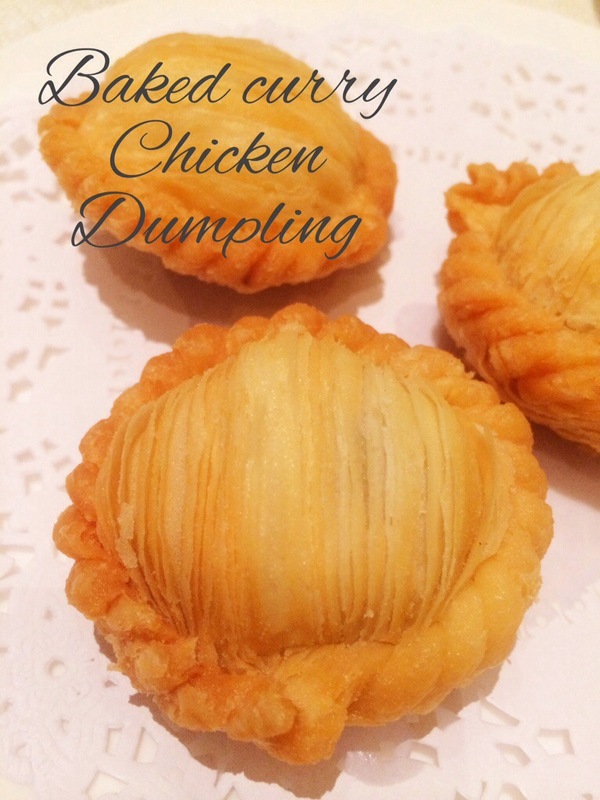 Instead of dessert we had curry chicken dumpling from the dim sum menu. I did not fancy it as it tasted a little sweet and there wasn’t much chicken. Overall we enjoyed the meal. This meal for 2 with the shown dishes cost slightly less than $100. 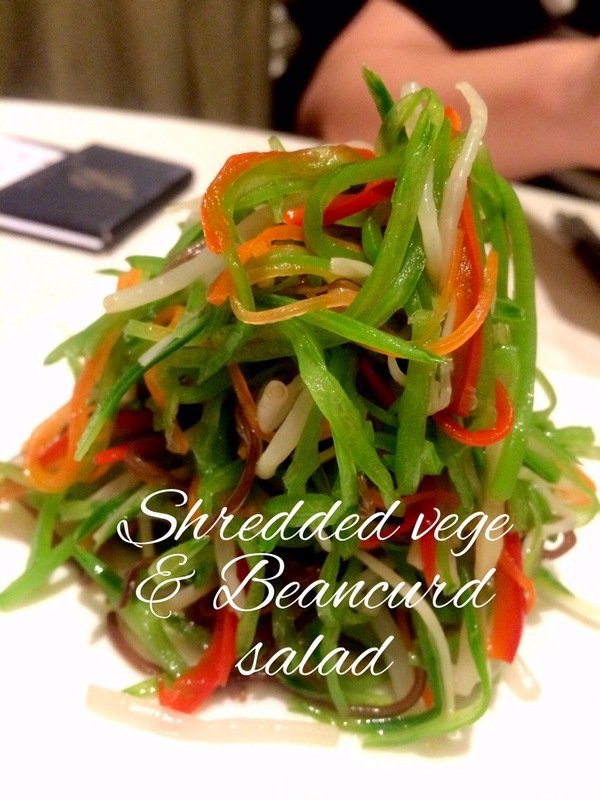 15 Feb 2014 – returned to the restaurant to have lunch. As there were more of us, could try more dishes. 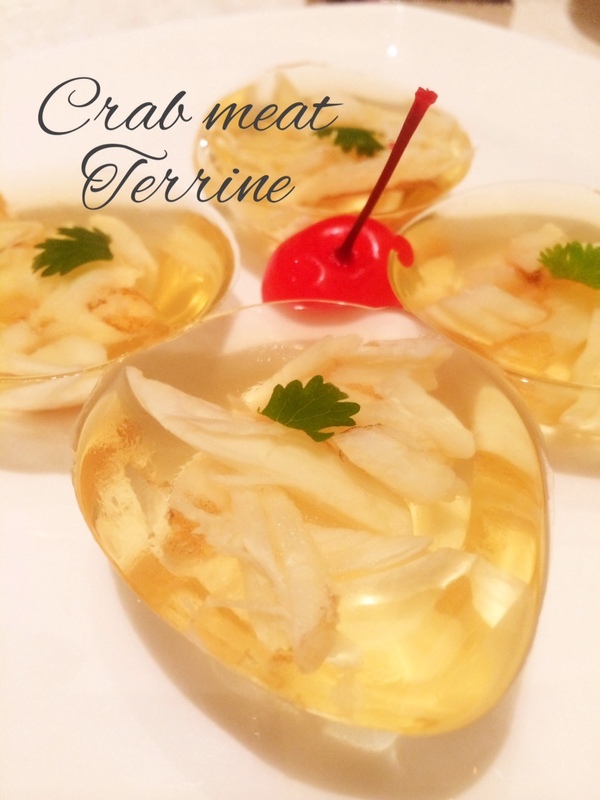 We started with the crab meat terrine, xiao long bao and spicy shanghai dumplings. All of which were good. We then had the dou Miao with bamboo shoots which was very good! 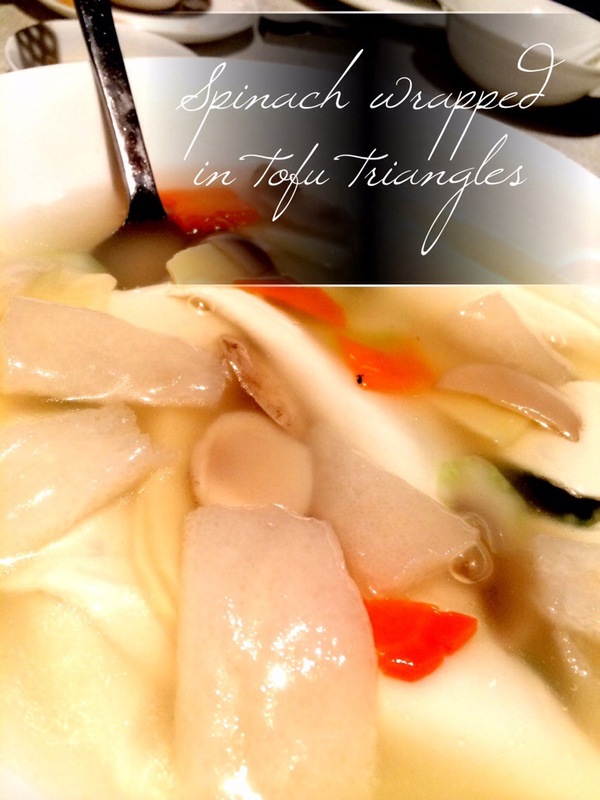 The tofu triangles were interesting. 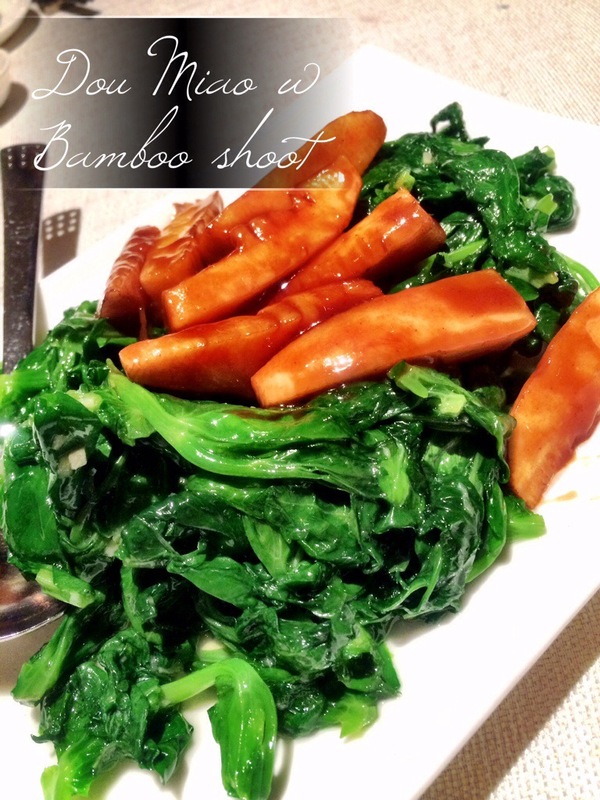 It appears to be a pale looking dish but below the mushrooms, bamboo pith and veges lie parcels of tofu with spinach within. 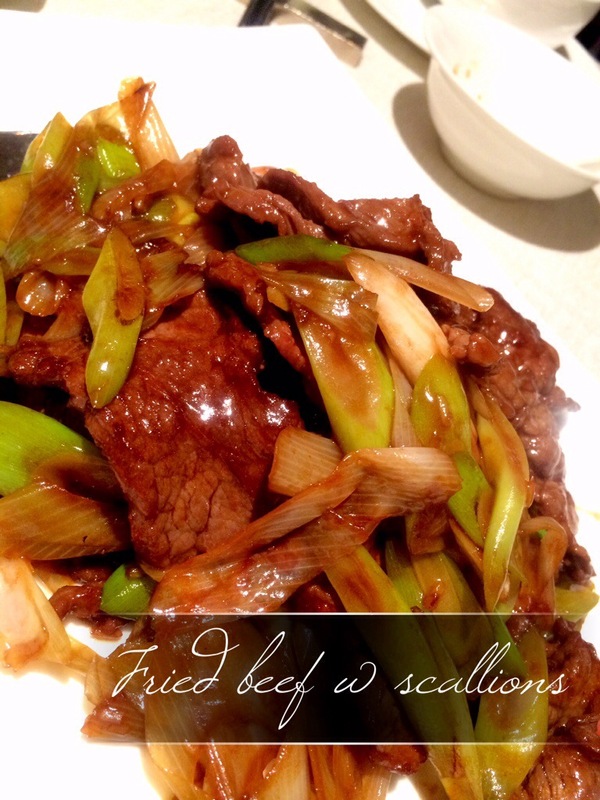 Beef with scallions was a hit, very tender beef slices with well cooked scallions, yums! 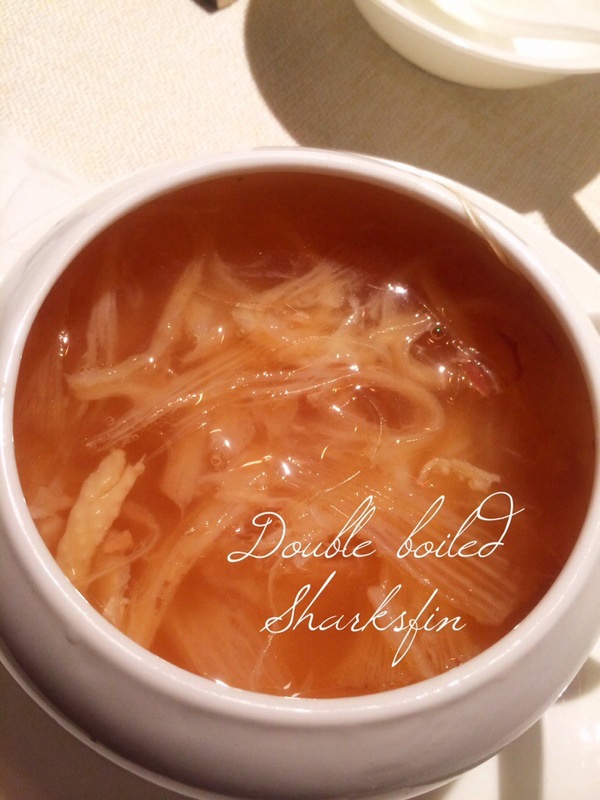 The last dish was the sharks fin soup double boiled with yunnan ham and chicken. 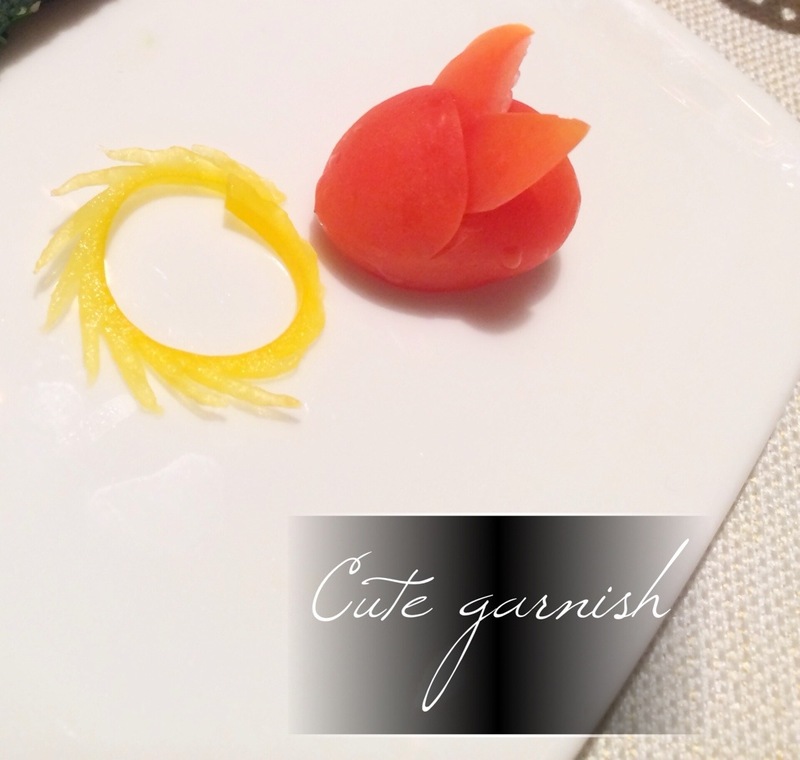 It was the star of the meal! The whole meal cost about $540 for 5 pax.